By now word has spread of the Supreme Court’s ruling last week declaring “naturally occurring” DNA to be a “product of nature and not patent eligible.” The mainstream news has focused mainly on the implications this ruling has for the specific breast cancer test marketed by the defendant Myriad and how that test may now be less expensive. But what of the larger implications of the case for patents in general? 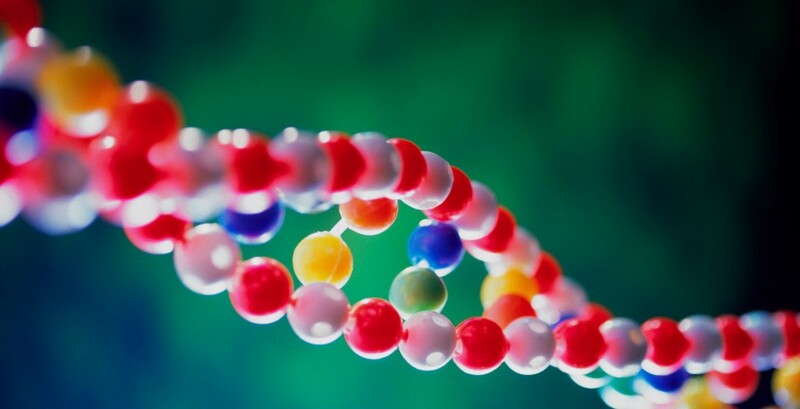 Will this holding, that bars patents for naturally occurring human genetic material but allows them on synthetically created DNA, have a major effect on the U.S. patent landscape? So if the Court’s ruling is strictly interpreted to apply only the human genes, the number of current patents that will be affected is around 3,500. Given the wording of their decision, however, it seems more likely that the ruling will apply to both human and non-human genes. 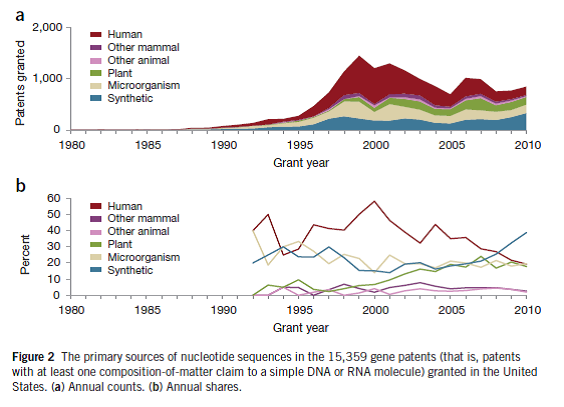 As the graph shows, patent claims have increasingly dealt with the synthetic DNA similar to the cDNA that the Court explicitly notes can be patented. Given this split decision, in which the court forbid “product of nature” patents but gave the green-light to patenting of synthetic DNA, it seems the author’s final conclusion that the case ultimately will cause little change in the direction of future patents is accurate.